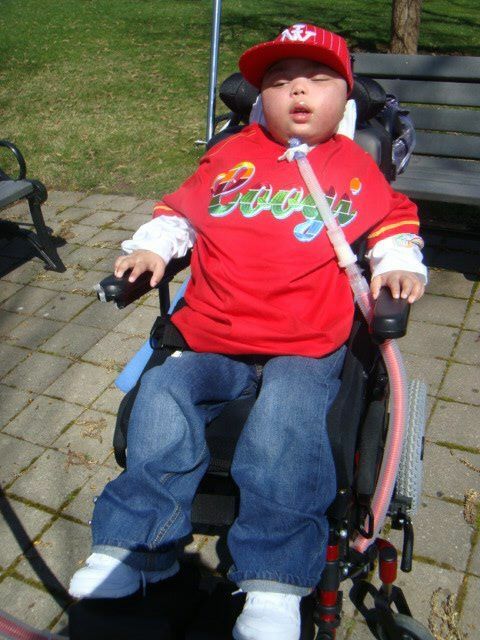 Hi My Name is Aaron Jai McGirt I'm nine years old and I have SMA type I! It may not look like I can do a lot, but I can. I have the intellectual of a nine year old boy, I am currently in 4th grade, and I have excellent grades in school. I didn't ask for SMA, but not a day goes by that I'm not thankful for my life and for the support of my family and friends. Mom and Dad thanks for not giving up on me! I have two little brothers, Brian 5, and Dylan 1, and a doggy named Precious. I love them very much!